Installing the Yieldr API collection will expedite the process of getting started with the Yield API. To install the Yieldr Postman Collection, head over to api.yieldr.com. 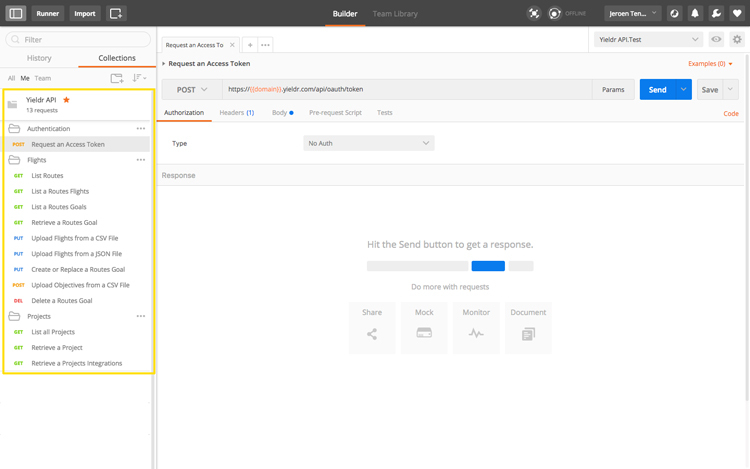 Here you can simply press the "Run in Postman" Button. This will open a window that asks you to use Postman in Chrome or Mac. If you don't have Postman yet, you can get the app here. When you're in postman it's essential that you first set the right environment values. Select the Yieldr API and click the gear icon in the upper right corner. 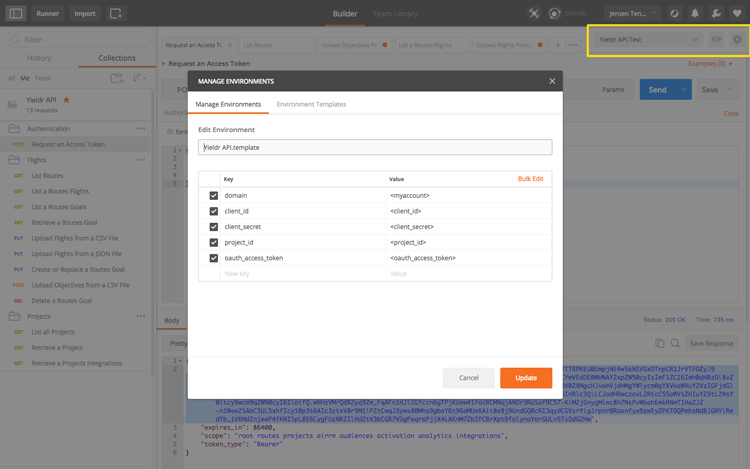 Next, click 'Manage Environments' from the dropdown and select the Yieldr API.template. From here you can replace all the placeholders with the values that correspond with your account. Once you press update, you are ready to start using the Yieldr API. Our API Collections are organized into folders which categorizes the various API calls according to category. For example, in the flights folder you can find the examples to send your flights data to the Yieldr Demand Intelligence platform.